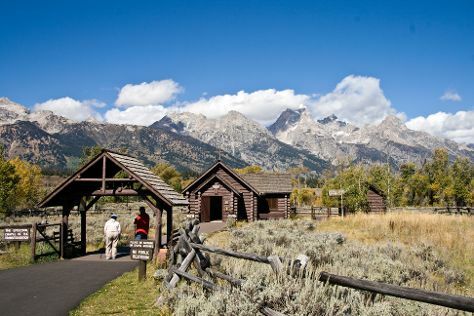 Discover out-of-the-way places like Grand Teton and Leigh Lake. Take a break from Jackson Hole with a short trip to Glacier View Turnout in Moose, about 36 minutes away. The adventure continues: admire the verdant scenery at Amphitheater Lake, take in breathtaking views at Death Canyon, explore the striking landscape of String Lake, and admire the sheer force of Hidden Falls. To find other places to visit, maps, more things to do, and more tourist information, you can read our Jackson Hole sightseeing planner. Buffalo to Jackson Hole is an approximately 8-hour combination of flight and taxi. You can also do a combination of bus, flight, and taxi; or drive. The time zone difference when traveling from Buffalo to Jackson Hole is minus 2 hours. Plan for a bit cooler temperatures traveling from Buffalo in May, with highs in Jackson Hole at 60°F and lows at 33°F. Finish your sightseeing early on the 31st (Fri) to allow enough time to drive to Yellowstone National Park. Explore hidden gems such as Yellowstone Lake and Artist Point. Spend the 4th (Tue) exploring nature at Fairy Falls. 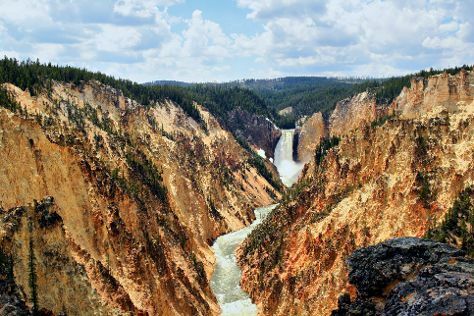 Spend the 2nd (Sun) exploring nature at Yellowstone National Park. There's lots more to do: explore the stunning scenery at Grand Canyon of the Yellowstone, take in the natural beauty of Old Faithful, explore the activities along Shoshone Lake, and take in the dramatic scenery at Kepler Cascades. To see more things to do, traveler tips, and more tourist information, refer to the Yellowstone National Park trip tool . Getting from Jackson Hole to Yellowstone National Park by car takes about 2 hours. Traveling from Jackson Hole in May, expect Yellowstone National Park to be slightly colder, temps between 53°F and 27°F. Finish up your sightseeing early on the 5th (Wed) so you can travel to Juneau. Discover out-of-the-way places like Tracy Arm Fjord and Treadwell Historic Mine Trail. Spend the 9th (Sun) exploring nature at Pack Creek. There's lots more to do: see majestic marine mammals with a dolphin and whale watching tour, hike along Gold Creek Flume Trail, explore the striking landscape at Mendenhall Glacier Visitor Center, and admire all the interesting features of Mendenhall Glacier. For reviews, ratings, more things to do, and tourist information, read our Juneau trip planner . Getting from Yellowstone National Park to Juneau by combination of car and flight takes about 8.5 hours. Other options: do a combination of bus, shuttle, and flight; or do a combination of car, shuttle, and flight. Traveling from Yellowstone National Park to Juneau, you'll gain 2 hours due to the time zone difference. Traveling from Yellowstone National Park in June, Juneau is somewhat warmer at night with lows of 48°F. Finish up your sightseeing early on the 9th (Sun) so you can travel to Crater Lake National Park. Eschew the tourist crowds and head to Crater Lake National Park and Whitehorse Falls. There's still lots to do: hike along Garfield Peak, stroll through Watchman Peak, identify plant and animal life at Rogue River Gorge Viewpoint, and admire the sheer force of Plaikni Falls. To see other places to visit, reviews, ratings, and tourist information, read our Crater Lake National Park visit planner. Traveling by combination of flight and car from Juneau to Crater Lake National Park takes 9.5 hours. Alternatively, you can do a combination of flight, bus, and taxi; or do a combination of flight, train, and taxi. Traveling from Juneau to Crater Lake National Park, you'll lose 1 hour due to the time zone difference. Traveling from Juneau in June, you will find days in Crater Lake National Park are warmer (86°F), and nights are a bit warmer (55°F). Cap off your sightseeing on the 13th (Thu) early enough to travel to Kailua-Kona. You'll explore the less-touristy side of things at Hapuna Beach State Recreation Area and Saddle Road. Get out of town with these interesting Kailua-Kona side-trips: Upolu Point (in Hawi) and Hilo (Akaka Falls State Park & Rainbow Falls). Next up on the itinerary: see some colorful creatures with a scuba or snorkeling tour, take in the awesome beauty at Mauna Kea, have some family-friendly fun at Hawaii Laser Tag, and get up close to creatures of the deep with a dolphin and whale watching tour. To find ratings, other places to visit, more things to do, and tourist information, refer to the Kailua-Kona journey builder site . You can do a combination of car and flight from Crater Lake National Park to Kailua-Kona in 12 hours. Other options are to do a combination of taxi, bus, and flight; or do a combination of taxi, train, and flight. Traveling from Crater Lake National Park to Kailua-Kona, you'll gain 2 hours due to the time zone difference. Expect a bit warmer evenings in Kailua-Kona when traveling from Crater Lake National Park in June, with lows around 74°F. Finish up your sightseeing early on the 17th (Mon) so you can travel to Kihei. You'll explore the less-touristy side of things at Napili Beach and Stand-Up Paddleboarding. Explore Kihei's surroundings by going to Zipline (in Ka'anapali), Lahaina (Lahaina Banyan Court & Ka'anapali Beach) and Haleakala Crater (in Haleakala National Park). There's lots more to do: kick back and relax at Wailea Beach, get up close to creatures of the deep with a dolphin and whale watching tour, tour the pleasant surroundings at Kalepolepo Beach Park, and meet the residents at Maui Ocean Center. To see more things to do, ratings, traveler tips, and other tourist information, use the Kihei trip builder . 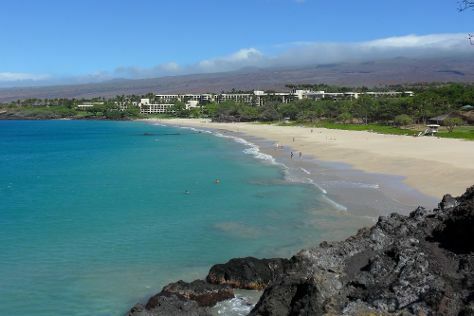 You can do a combination of flight and taxi from Kailua-Kona to Kihei in 2.5 hours. Alternatively, you can do a combination of bus, taxi, and flight; or do a combination of bus, flight, and taxi. In June in Kihei, expect temperatures between 87°F during the day and 71°F at night. Finish your sightseeing early on the 22nd (Sat) so you can travel to Hanalei. Hanalei is a census-designated place (CDP) in Kauai County, Hawaii, United States. Eschew the tourist crowds and head to Scuba & Snorkeling and Hanalei Beach. Change things up with these side-trips from Hanalei: Poipu Beach Park (in Poipu), Dolphin & Whale Watching (in Eleele) and Kauai Coffee Company (in Kalaheo). Next up on the itinerary: admire the majestic nature at Na Pali Coast State Park, see the world from above with a helicopter tour, paddle through the water with a kayaking and canoeing tour, and take in breathtaking views at Waimea Canyon State Park. To see reviews, where to stay, other places to visit, and tourist information, go to the Hanalei road trip app . Getting from Kihei to Hanalei by combination of taxi and flight takes about 2 hours. Expect a daytime high around 83°F in June, and nighttime lows around 73°F. Finish up your sightseeing early on the 27th (Thu) so you can travel to Yosemite National Park. Step off the beaten path and head to Yosemite Falls and Sonora Pass. Spend the 30th (Sun) exploring nature at Elizabeth Lake, Yosemite National Park. Next up on the itinerary: trek along Mariposa Grove of Giant Sequoias, explore the striking landscape at Glacier Point, admire the sheer force of Chilnualna Falls, and stroll through Tuolumne Meadows. For more things to do, reviews, ratings, and tourist information, you can read our Yosemite National Park day trip planning site . Getting from Hanalei to Yosemite National Park by combination of taxi and flight takes about 12.5 hours. Other options: do a combination of taxi, flight, and bus. Due to the time zone difference, you'll lose 2 hours traveling from Hanalei to Yosemite National Park. Plan for colder nights when traveling from Hanalei in June since evenings lows in Yosemite National Park dip to 43°F. 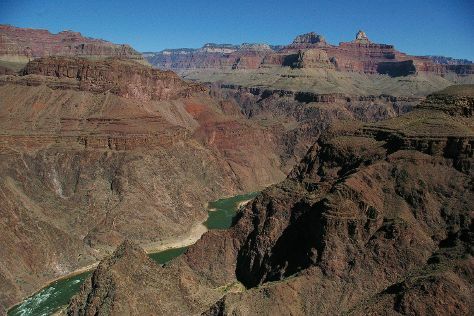 Wrap up your sightseeing on the 2nd (Tue) early enough to drive to Grand Canyon National Park. Step off the beaten path and head to Bright Angel Trail and South Kaibab Trail. There's much more to do: take in breathtaking views at Grand Canyon South Rim, take some stellar pictures from Moran Point, explore and take pictures at East Rim Drive, and trek along North Kaibab Trail. For reviews, other places to visit, ratings, and more tourist information, refer to the Grand Canyon National Park trip itinerary maker app . Drive from Yosemite National Park to Grand Canyon National Park in 12.5 hours. The time zone difference moving from Pacific Standard Time to Mountain Standard Time is 1 hour. Traveling from Yosemite National Park in July, plan for a bit warmer nights in Grand Canyon National Park, with lows around 52°F. Wrap up your sightseeing on the 8th (Mon) to allow time to drive to Page. 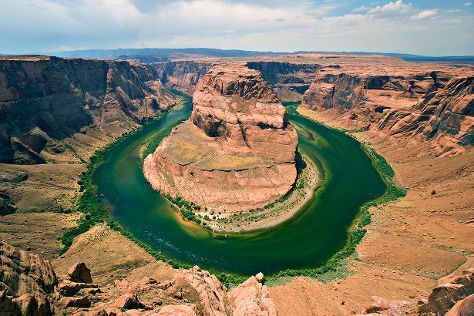 Eschew the tourist crowds and head to River Rafting & Tubing and Northern Arizona Guide Service. Explore Page's surroundings by going to Many Pools Trail (in Zion National Park), Monument Valley Navajo Tribal Park (in Monument Valley) and Kanab (Paria River Canyon & Nautilus Rock). Next up on the itinerary: trek along Alstrom Point, explore the striking landscape at Paria Canyon Wilderness Area, get great views at Horseshoe Bend, and choose your vessel at All In Boat Rentals. To see photos, traveler tips, maps, and tourist information, go to the Page tour itinerary planner . Traveling by car from Grand Canyon National Park to Page takes 2.5 hours. Traveling from Grand Canyon National Park in July, you will find days in Page are a bit warmer (98°F), and nights are much hotter (73°F). Cap off your sightseeing on the 13th (Sat) early enough to go by car to Moab. Step off the beaten path and head to Adrenaline & Extreme Tours and Canyoning & Rappelling Tours. You'll find plenty of places to visit near Moab: Canyonlands National Park (Cave Spring & Elephant Hill) and Arches National Park (Double Arch & Turret Arch). On the 14th (Sun), dedicate a day to the elevated beauty of Arches National Park. There's lots more to do: tour the pleasant surroundings at Hurrah Pass Road, trek along Hidden Valley Trail, don't miss a visit to Looking Glass Arch, and admire the majestic nature at Dead Horse Point State Park. For reviews, maps, more things to do, and tourist information, you can read our Moab travel planner. Traveling by car from Page to Moab takes 5 hours. Alternatively, you can do a combination of bus and taxi. Expect little chillier evenings in Moab when traveling from Page in July, with lows around 67°F. Finish up your sightseeing early on the 18th (Thu) so you can travel to Pigeon Forge. You'll explore the less-touristy side of things at Room Escape Games and Smoky Mountain Alpine Coaster. Change things up with these side-trips from Pigeon Forge: Cades Cove (in Great Smoky Mountains National Park) and River Rafting & Tubing (in Hartford). Pack the 21st (Sun) with family-friendly diversions at The Island in Pigeon Forge. There's still lots to do: meet the residents at Ripley's Aquarium of the Smokies, admire the natural beauty at Parrot Mountain & Gardens, examine the collection at Titanic Museum Attraction, and whizz through the canopy at some of the top local zipline courses and adventure parks. To see other places to visit, more things to do, where to stay, and tourist information, you can read our Pigeon Forge trip itinerary planning site . Do a combination of flight and taxi from Moab to Pigeon Forge in 8 hours. Alternatively, you can do a combination of car, flight, and taxi; or drive. You'll lose 2 hours traveling from Moab to Pigeon Forge due to the time zone difference. Traveling from Moab in July, you will find days in Pigeon Forge are slightly colder (87°F), and nights are about the same (69°F). Wrap up your sightseeing on the 22nd (Mon) early enough to travel to Key West. Discover out-of-the-way places like Scuba & Snorkeling and Vandenberg Wreck. Next up on the itinerary: look for all kinds of wild species at Key West Butterfly & Nature Conservatory, see what you can catch with a fishing tour, take a memorable drive along The Overseas Highway, and get engrossed in the history at Truman Little White House. To find photos, other places to visit, and more tourist information, use the Key West trip site . You can do a combination of taxi and flight from Pigeon Forge to Key West in 6.5 hours. Other options are to do a combination of car and flight; or drive. Plan for a bit warmer nights when traveling from Pigeon Forge in July since evenings lows in Key West dip to 81°F. Wrap up your sightseeing on the 25th (Thu) early enough to travel back home.